The 128 windows of York Minster are the eighth wonder of the world; they illustrate the art and craft of glass painting, extending over nine centuries. York is also an international centre for the study and conservation of stained glass, ensuring its survival into the third millennium. 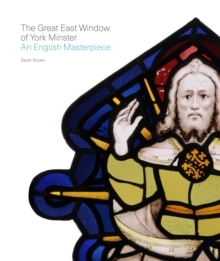 Sarah Brown introduces the magnificent stained glass at York Minster. She provides an holistic overview, starting with evidence for the glazing of the pre-Conquest Minster and the earliest surviving glazing from the twelfth-century church. 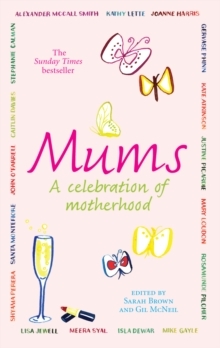 She then embarks on an extended tour of the Minster's windows, including the Five Sisters in the north transept, the Rose Window in the south transept, the famous Bell-Founder's Window in the north nave aisle, the Great West Window, often called the Heart of Yorkshire, and the magnificent Great East Window. A ground plan of the Minster enables every window to be located. 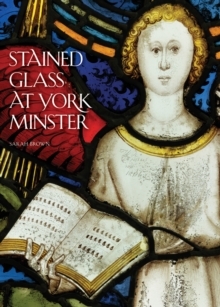 This book will situate you inside the Minster itself, and is a must-have for any stained glass enthusiast.